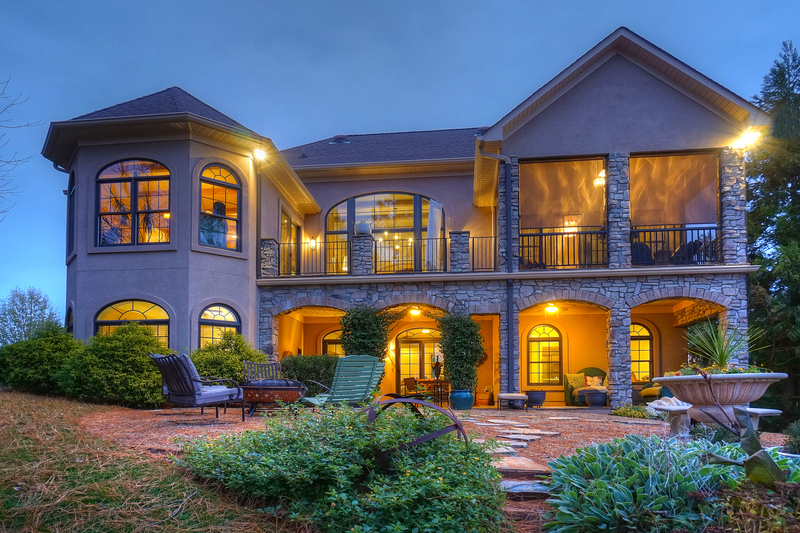 Truly magnificent golf course home in Verdict Ridge. Unsurpassed elegance abounds in every corner of this unique home. Spectacular long golf course view. Master on main w/soaring beamed ceilings in great room, reclaimed wood flooring, opens to gourmet kitchen. Summer kitchen/laundry room to die for! Lower level includes tons of storage, wet bar, 3 bedrooms, & media area. Master Bath is plumbed for a tub.